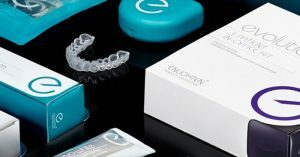 Enlighten Evolution is a long lasting, highly effective whitening treatment for dull and discoloured teeth. After just 14 days, you will notice a change in the shade of your teeth with this popular and trusted award-winning treatment. This product has been used all over the world by millions of people who have reported brighter, whiter teeth after just two weeks of treatment.